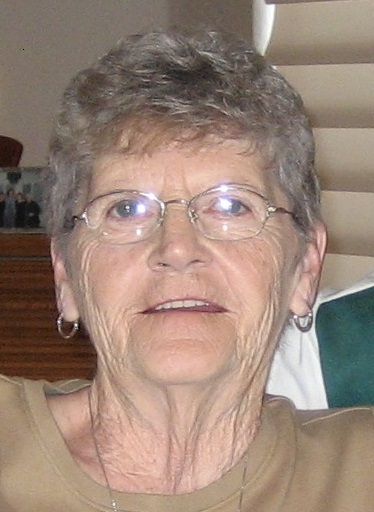 Betty R. Woods, 83, of Gouverneur, died on July 24, 2015 at Hospice of Jefferson County in Watertown. Calling hours will be 12:30 PM – 2:00 PM, Tuesday, July 28, 2015, followed by the funeral service at 2 PM, Pastor David Hart officiating, burial will be in East DeKalb Cemetery, DeKalb Junction. She is survived by her husband Arthur J. “Woody” Woods, sons Scott and his wife Reen Woods of Gouverneur, Craig and his wife Ranae Woods of Alexandria, Virginia, daughters, Candace and her husband Craig Summers of Tucson, Arizona, Lori and her husband Chris Watson of Bradley, Maine, a brother Curtis and his wife Trudy Snyder of Rochester, New York, 8 grandchildren, 1 great grandchild, and several nieces and nephews. Betty was born on September 7, 1931 in Ogdensburg, the daughter of Ernest “Pete” and Ada Murphy Snyder. She graduated from DeKalb High School in 1948 and the Ogdensburg Business School in 1950. Betty married Arthur on August 11, 1950. She retired from Corning Glass, Canton after working from 1979-1987. Prior to that she worked at St. Joe Zinc Co. (1974 -1978), Gouverneur E. J. Noble Hospital (1970 -1974), and Acme Markets (1955 -1970). Betty enjoyed playing cards, bowling and golfing. She loved spending time with her children and their families. She was extremely fortunate to have a great group of friends her entire life. Contributions can be made to the Gouverneur Hospital. My heart aches for you and your family. Your mother was such a wonderful person and she will truly be missed. Uncle Woody and family – so sorry to hear about Aunt Betty. Jeff and I believe she’s in a better place. Like I told Lori, she’s up in heaven and mom and her are already talking. So sorry for your loss to the Woods family. You are in my thoughts and prayers. She was a great lady! I am sorry to hear of the loss of your loved one! Please be comforted in knowing that you are all being held in our thoughts and prayers. Betty was a beautiful soul. May all the wonderful memories of a purposeful life comfort you through this difficult time. We miss you so much already Aunt Betty. You and Uncle Woody will always have a special place in our hearts. May you rest in peace free of suffering with God’s arms wrapped around you. You are all in our thoughts and prayers.